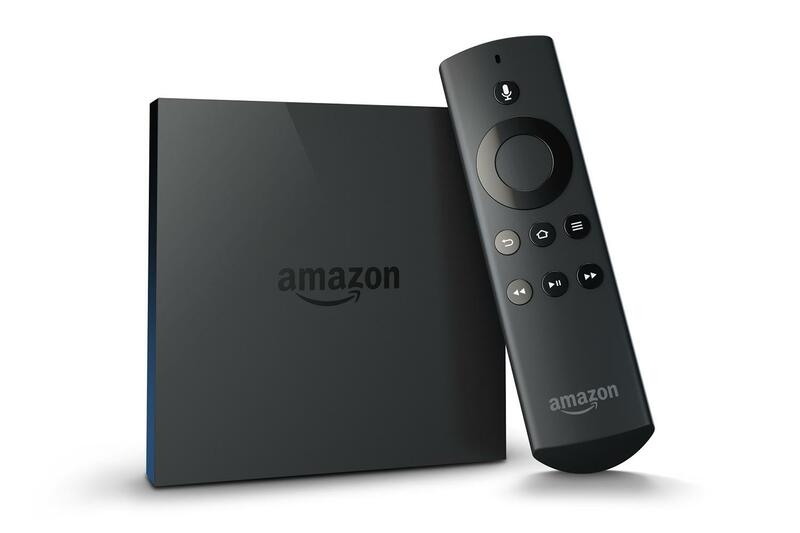 This page will be dedicated to a general overview, descriptions, and information related to the Amazon FireTV. UART output can be seen by attaching an adapter to the following UART points. The Amazon Fire TV utilizes an EMMC flash. 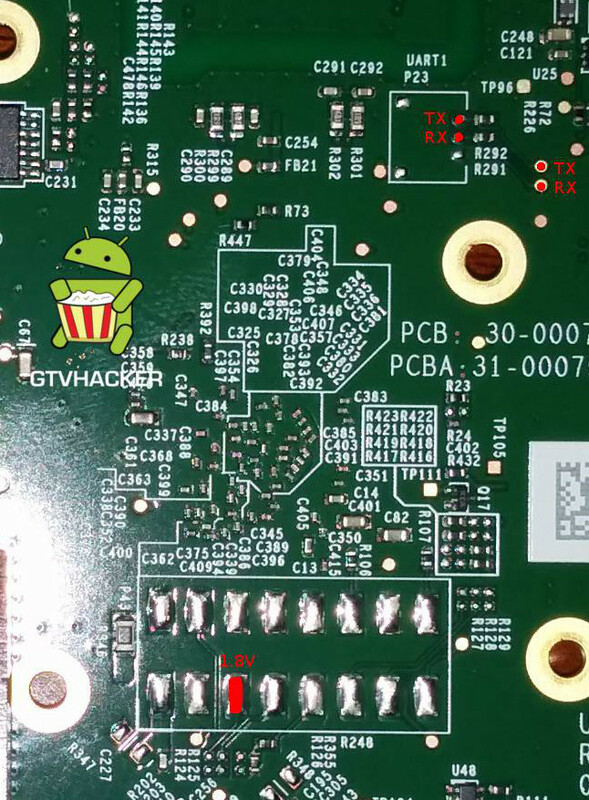 Using the pinouts below and our special low voltage adapter, you can connect the flash to a SD card reader, and rewrite it's contents. For the FireTV device specifically, you can mount the /system partition, which is EXT4. From here, just copy over the SuperSU APK into app, and the su binary to bin. Ensure that you properly chown the su binary (4755). This will allow for root access via ADB. A video demonstrating the process can be found below. In order to access the e-MMC flash device on the Fire TV, you will need to first open the device and remove the heat shield. A tear down of the device can be found in the video below which illustrates the process. 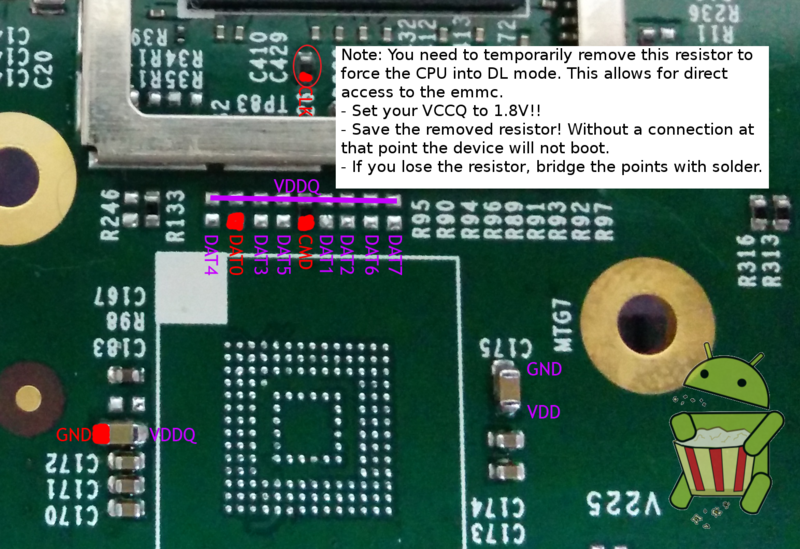 Information on interfacing with the e-MMC points on the Fire TV can be found in the e-MMC HW Root section above.